With injury prevention being widely publicized in Hawaii, why would a top Honolulu personal injury attorney be inundated with increased inquiries about personal injury? While it is obvious that more prevention is needed, a good strategy in the event of an injury is a good back-up plan. Here are some facts to know about personal injuries. Here is the foremost reason anyone would seek a Honolulu personal injury attorney: responsibility. And, while there is a clear-cut legal definition for responsibility, proving it takes the skill and acumen of a professional. Top personal injury attorneys not only apply this definition, but know the legal ins and outs of getting it applied. Cases fall short without it. To seek any form of compensation for damages done and suffering endured, a strong case must be built upon and around the responsible party. This hinges upon the burden of proof borne by the injured party which can be complex to the amateur. 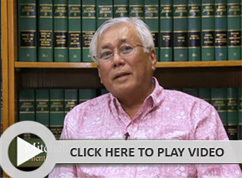 One error can mean the entire case, the reason for recent spikes of searches for a Honolulu personal injury attorney. Getting compensated for personal injury is built upon responsibility and facts. Further, a value must be placed on the injury taking into account several important factors, all of which equate to adequate personal injury compensation. Damages are estimated based on extent of injury, length or possibility of recovery, personal pain and suffering and others which may be missed in the hands of an amateur. Clearly there are many factors. Namely, these include assignment of responsibility, adequate factual documentation and calculation of value of damages. Having a skilled attorney is crucial. For without a thorough handling of any point, a case becomes pointless. In this light, professional help is recommended. 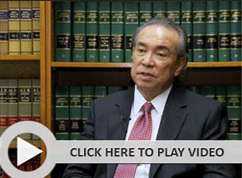 Seeking a Honolulu personal injury attorney, insist on experience. The Law Office of James J Stone has been protecting the injured for 30 years running, helping them overcome the burden of proof to get adequately compensated for pain and suffering, with no fees if no recovery. 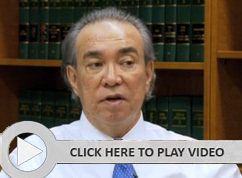 Call 808- 223-7810 today for a free consultation to evaluate your case.